No one is judging you. We all started where you started. And honestly, if someone is judging you, they are probably just a trash person to begin with. It’s your first time, You aren’t going to be a pro and no one thinks you should be. You do those 5.5 climbs on top rope and those v0 boulder problems for as long as you need. Everything is an accomplishment and you’re doing better than half the population who can’t leave their couch. With time, you’ll get stronger. Start where you start and don’t feel insecure about it. The employees and members are happy to help you out 99% of the time. Not sure what the ratings mean? ASK. Don’t know how to do the next move on the boulder route you’ve been staring at for an hour? ASK. 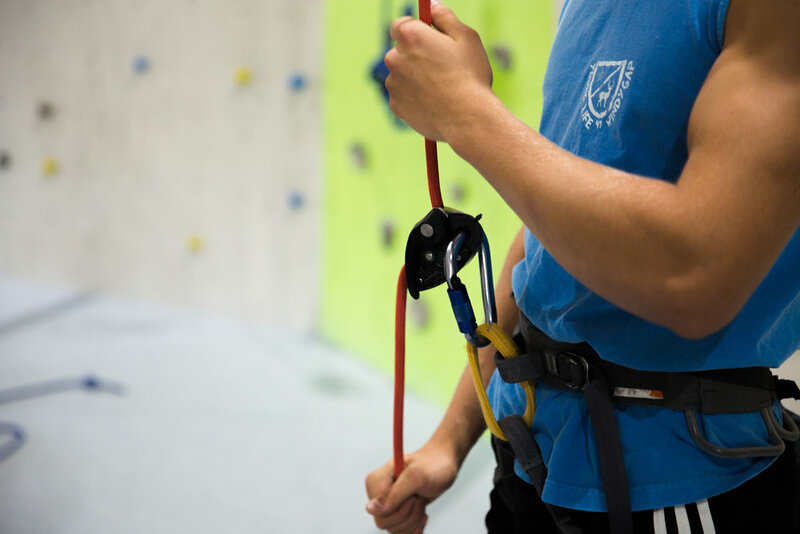 Don’t remember the belay method from the last time you climbed a month ago? ASK - especially when it's a safety concern. You’ll understand the lingo later on. Google is your friend. I didn’t know what half the terms people were throwing around were when i first started, but now I’m just as annoying as they are…..
And if you want a handy cheat sheet I definitely looked at this one when I first started. People are going to give you unwanted help. I know I said you should ask if you need it, but sometimes half the fun of climbing is figuring it out for yourself. “Beta” - basically a term for “how to do the route” - is going to be spewed at you constantly. Especially if you are a lady climber. Feel free to tell them to cut it out and let you do it yourself! Paired with this, if you're still a beginner, don't give advice to climbers who have clearly been climbing for a while. I said earlier that no one would be judging you...........but.............in this instance, they will. A fine line, I know, but you'll catch on! If you're hooked on climbing and decide to buy your own gear, make sure you buy shoes that are too small. I didn’t believe what all the seasoned climbers told me and I bought shoes that felt awesome when I tried them on in the store………and just like they said, they are way too big and nearly impossible to climb in. $100 down the drain. Just deal with the discomfort, agony, and pain and then you’ll have the perfect shoes. Along with that, if you’re still a beginner climber, all you need a harness, shoes, chalk bag, and a carabiner + ATC. Don’t start buying quickdraws, ropes, hand jammies, slings, etc. before you know how to use them. Get comfortable in the basics and then decide to grow your gear closet. 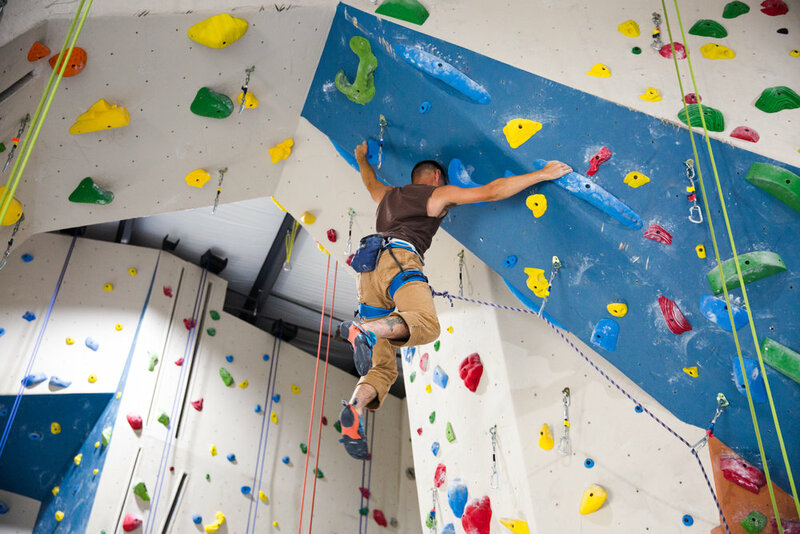 Those are just a few things that might help you out if you're brand new to climbing and worried about a scary gym atmosphere. If you have any climbing questions feel free to leave a comment or send me a message and I'd love to help you if I can! Happy climbing!